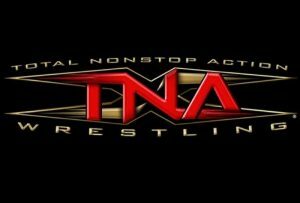 Want a more in depth look at NWA-TNA from the second eight weeks? We’re reviewing every Weekly Pay Per View on our WrestleCorp Review show. They’re providing great action, winning titles and the best part of S.E.X, and that would be the obvious Triple X trio; made up of Christopher Daniels, Low Ki and Elix Skipper. Being their primary rival at the time ,and having several solid matches with not just them but veterans as well, America’s Most Wanted (Chris Harris and James Storm) also earn an A.
AJ Styles also makes it again. I loved his mini feud with Larry Zbyszko and thought that Styles brought the best out of the fifty-plus year old. Lastly, kudos to Jeff Jarrett. He may be stuck in a feud with Vince Russo, but he’s putting on some interesting matches. While the shows aren’t producing as many gems, they are progressively more even across the board. He bounced around a bit in this grading period, but I think ultimately Jerry Lynn did enough to warrant a B. He may of just made his debut at this point, but Raven has to be included. He only had one match, a barely watchable fight with Sandman, but his sheer impact and the importance of his arrival are legendary still. Plus him grabbing the NWA Worlds title from Jarrett and posing is still used. It may seem weird but Dusty Rhodes deserves a B. While his matches are short, at best, his ring work isn’t his draw. For Rhodes it’s how the fans react to him, and how he can get them invested. Fans love Dusty, so that doesn’t hurt. Mike Tenay keeps Mike Tenay’ing. Amazing Red represents the best part of the S.A.T. and puts on consistent matches. Goldylocks deserves so much better. He’s getting more substance to work with, so James Mitchell is starting to show more. Ron Killings will be wildly inconsistent at this point. It’s hard to stay consistent, just ask Sonny Siaki. Who doesn’t love Don West‘s energy? Their manager is getting a bump up the grades, but The New Church (Slash and Brian Lee) still struggle to put on good matches consistently. He was 51 at the time, so Larry Zbyszko deserves all the credit in the world for being competent and credible in the ring still. A television title would of been awesome in 2003, because Zbyszko could of made that belt something. He’s only here because he was sparsely used, sorry Steve Corino. Athena is gaining steam but still can’t be passable. EZ Money and Tony Mamaluke really only exist at this point to try and tap into the ECW fan base. Divine Storm have the look but lack the consistency. She’s only a rookie so Trinity’s placing makes sense. They botch too much so The Maximos keep falling. The Rock N’ Roll Express can’t work and they’re still working in 2018. David Flair is still better than Vince Russo. Where was Jorge Estrada? Hes solid on the mike, so props to Mike Sanders. The Sandman being this high is simply because he just debuted. How Ace Steel ever trained anyone baffles me. This is the start of a long road for David Young. Jason Cross or Chris Vaughn, who has a dumber name? The Harris Brothers have title prestige but no real talent. BG James is fat and out of shape. Same with Curt Hennig. Disgraceland and Glenn Gilbert are a match made in a back alley somewhere. Bella Donna was useless, which is why she basically disappeared. Desire does nothing. Vince Russo is nothing. Paul London and Jimmy Havoc will pop up more often but they barely showed up in this grading period to qualify. Jimmy Yang is not long for NWA-TNA at this point. I forgot just how sparsely used Shark Boy was at this time. Zach Gowen/Tenacious Z was a gimmick. The Road Warriors were supposed to have a run but couldn’t agree with a new deal. You’ve never heard of Ashley Johnson or Jonah for good reason. April Hunter is more of a cult name than a legit draw. He couldn’t stand Russo so Syxx-Pac is gone. Hall was next out, but that wasn’t his call. Chris & Rick Michaels and the The Hot Shots will be fun teams to stump your friends with. Bruce and Lenny Lane were mercifully put out of our misery. Rodd Piper had enough. Chris Hamrick didn’t stick around. While Mortimer Plumtree was quietly forgotten about because Russo hated him. Dusty Rhodes – Dusty may be way over the hill at this point but he remains a bright spot in an otherwise bleak run of shows. Triple X– Triple X might be the most talented trio the company has ever had. Two future world champions, two X-Division champions, a former Cruiserweight Champion and multi time tag team champions. They may not always put on a five star match, but they’ll never let you down. AJ Styles – I mean, he earned his legacy for a reason. Raven – While Zach doesn’t like his stuff much, he’s in the minority. A lot of fans marvel at his cadence and ability to tell an interesting story with only his vocals. Trinity – Trinity really deserves more credit for what she did as a manager, wrestler and a bump taker. She really was the first legit talent they had in the female wrestler side of things.